If you want the capacity of a minivan but don’t want to drive one, and would like to have a vehicle that’s easier to load groceries in to, you really don’t have a lot of choices. 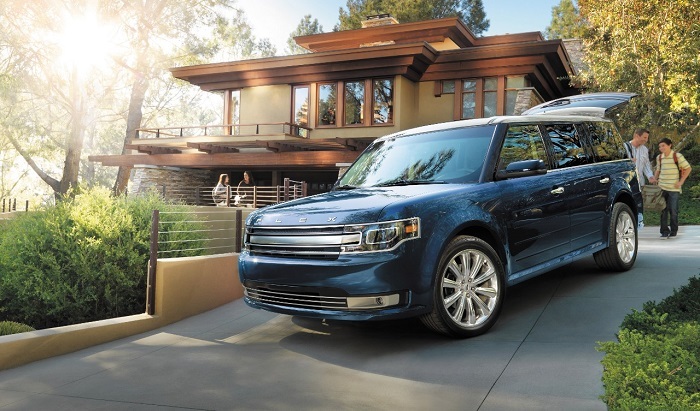 The Ford Flex is one of those vehicles that meets both of those needs, and is a great option for a family who wants it all. For all points and purposes, the Flex is a station wagon. We just don’t call them that anymore here in the United States. They quickly fell out of favor when SUVs and CUVs started to grow in popularity. Even today, the Flex doesn’t sell nearly as well as the Explorer, which is the Flex’s brother. 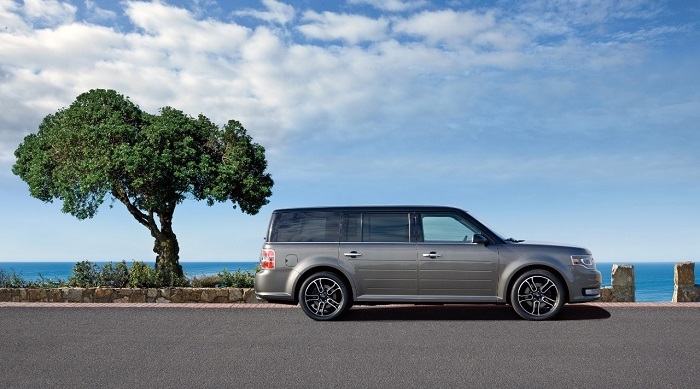 The 2015 Ford Flex comes standard in a 7-passenger seating arrangement. If you don’t need the 7 seats, opt for the second row captain’s chairs. It makes getting in and out of the third row easier than ever, and if you want, you can get a refrigerator for the center console in the second row. 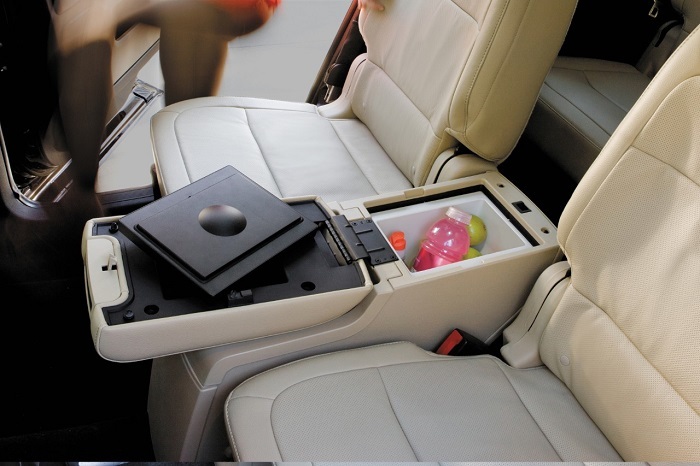 You can have chilled beverages on those long road trips! More kid-approved features include the panoramic moonroof, where every passenger has a window they can look out of the top of the Flex from. Or, if they want darkness, they each have their own individual shade to close. Tri-zone climate control ensures that the kids in the back are comfortable, and lots of vents make sure the air gets back there easily. 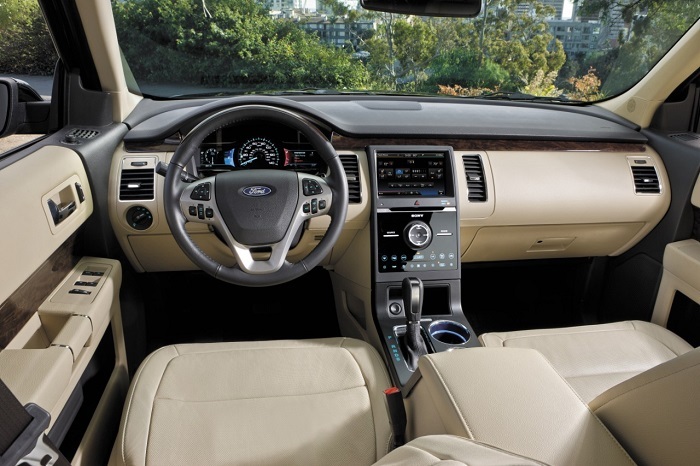 The third row features Ford’s PowerFold system, allowing the seats to fold completely flat out of the way at the push of a button. If your hands are full with groceries but you forgot to put the rear seat down, just tap a button and you’re all set. The second row also folds flat so you can carry some seriously large cargo. While comfortable for the rear seat passengers, the Flex is great for the people in the front, too. Both driver and passenger seat are heated and air conditioned, with power adjustability. 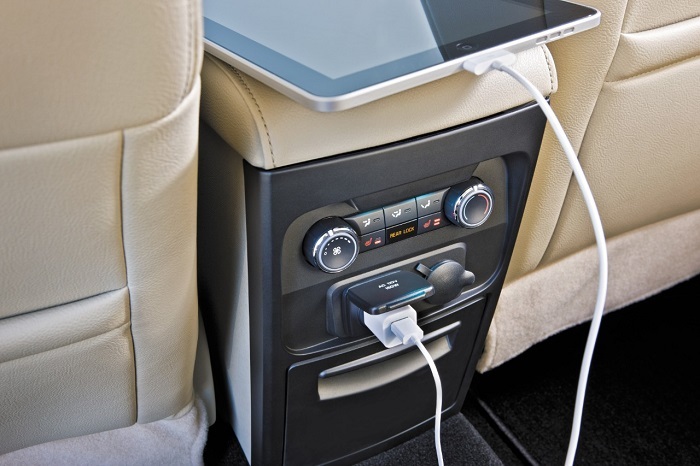 MyFord Touch means you have access to all of your tunes, and you can pair your phone and safely use it connected to the system. Additional luxuries like adaptive cruise control and lane keep assist keep you safe and sane on the long road trips. HID headlights brighten up the night sky so you can avoid animals. A pre-collision system detects you’re about to crash and helps you prevent it by helping brake. So it’s well-equipped and safe, but does it perform? The Limited model has the 3.5L EcoBoost V6 engine that makes 365 horsepower. The Limited is also paired exclusively with all-wheel drive, making it an all-season performer. If you need to get somewhere in a hurry, the Flex can get you there. Plus, it’ll tow 4,500 pounds. Ford retains 42% of Flex customers, which is more than the company average. People love their Flexes, and it’s easy to see why. 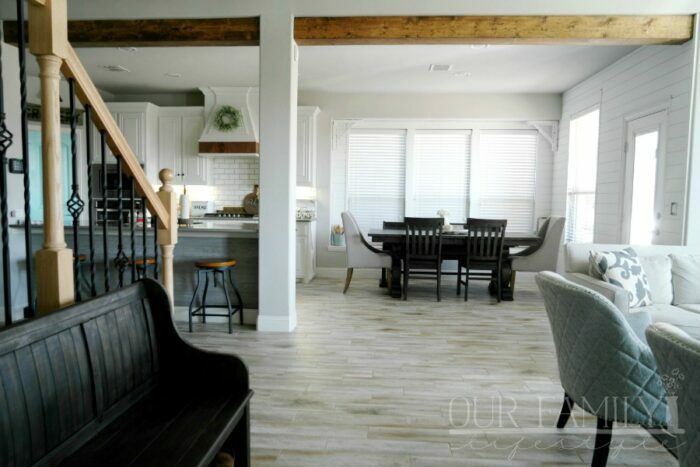 It has more room than the Explorer, is easier to use, and comes with a bunch of great features. 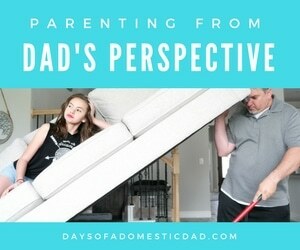 It’s what every family needs!